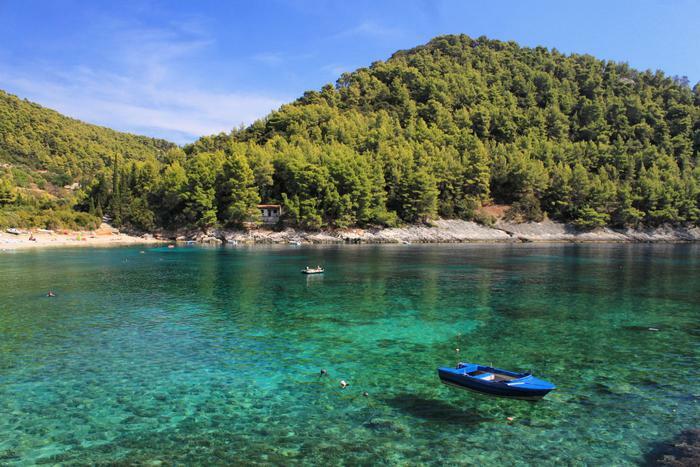 The sixth largest Croatian island is the island of Marko Polo, pošip wine, Moreška dance, but also the island of sandy and pebbly beaches of undescribeable beauty. 182 kilometers of Korčula's indented coast hides many surprises for all of those who decide to explore this popular tourist destination. Pebble beaches are located on the more flat northern side of the island, while the sandy ones can be found on the southern side of Korčula. 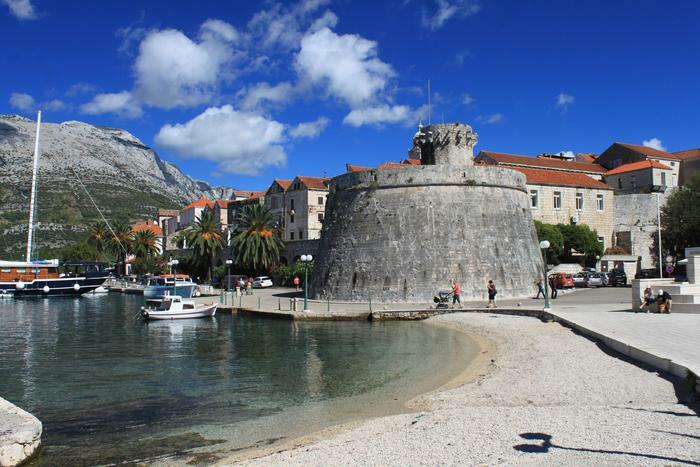 Book an accommodation on Korčula and don't forget to prepare yourself for a whole day heaven on its numerous beaches. In 2007 this beach was named the best beach on the Croatian Adriatic. No wonder, considering the fact that the sea here is crystally clear and of an unreal turquoise color. It's surrounded by pine wood one must first pass through to get to the beach. This is a pebbly beach, surrounded with big and flat stones make the surroundings even more romantic. 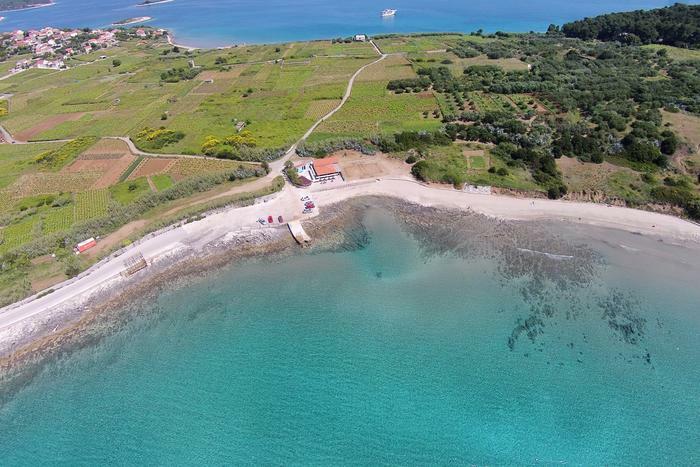 Proizd is unsettled which makes it perfect for all of you who want to experience the wilderness of mediterranean nature. A little boat goes to Proizd from Vela Luka a few times a day, and the trip lasts some 30 minutes. Make sure you explore the other beaches of this island too, we guarantee you won't be dissapointed. Run away from summer crowds and unwind on this heavenly little island. 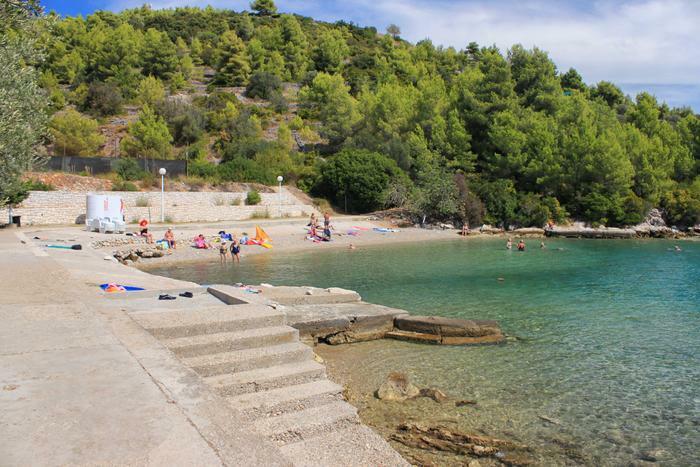 According to many, the beach in Pupnatska luka is one of the most beautiful beaches on Korčula. The sea there is so clean it seems transparent, also it's surrounded by lush green forest that creates a beautiful contrast of blue and green. 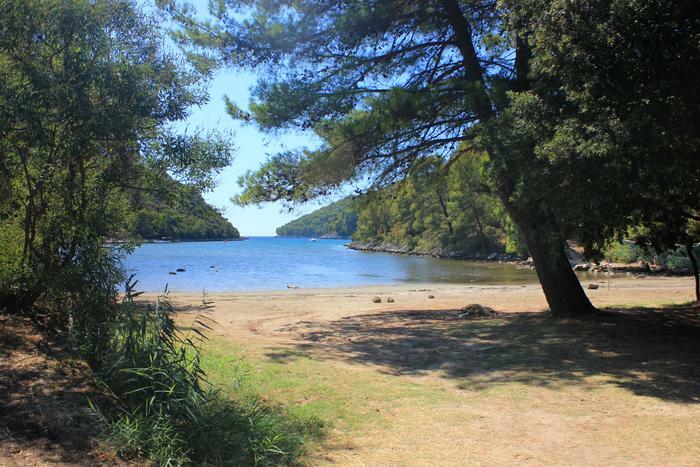 The beach is about 15 kilometers away from Korčula town. But, despite its secludeness (you can get there by a narrow, bumpy road), this beach offers many contents. You can freshen up in a nearby restaurant above the beach, rent out deck chairs, and if you've arrived there by car, park it on a nearby parking lot. If you've booked your accommodation in Korčula, and you're in search of a refreshment from summer heat, take a stroll along the promenade to Banje beach. Although because of its proximity to hotels and the town's centre, at peak season it can get a bit crowdy. However, there's content ideal for families with children and all of those who love day long stays at the beach. 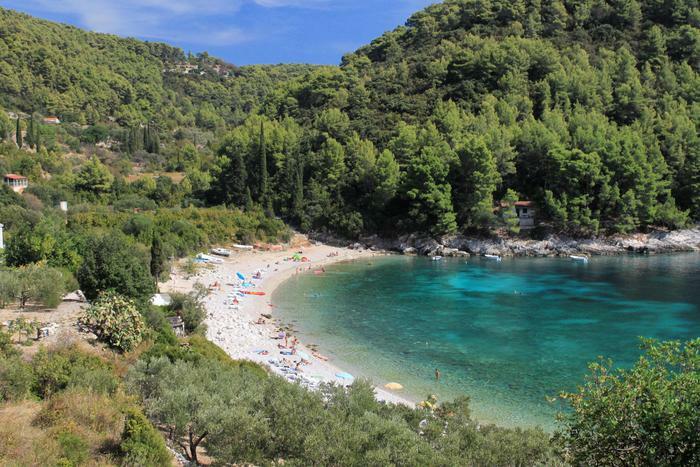 This sandy beach in the settlement of Lumbarda, just 15 minutes away from Korčula town is one of the most popular beaches in Croatia. Here it can also get crowdy at peak season. But if you're an early riser or a lover of night swimming, at those times of the day there are less people. Book an accommodation in Lumbarda. 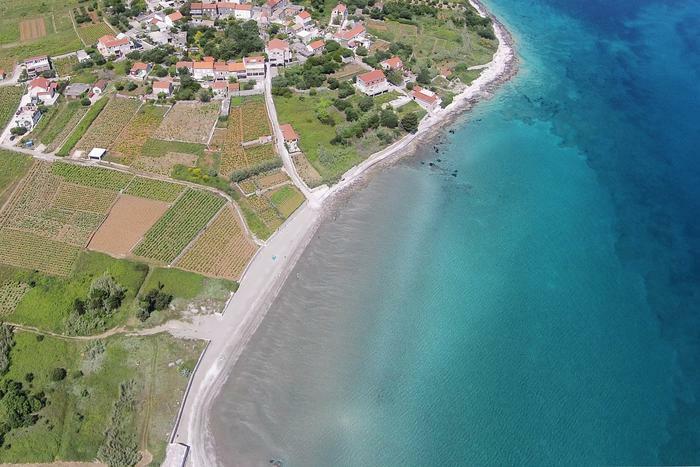 Unlike other beaches on Korčula this beach near Brna is special because of its healing mud. But if you're not in a mood for mud therapy, no worries. Enjoy on the sandy coast while hiding in the shade of pine trees, playing with your kids or playing volleyball on a nearby court. If you get hungry, take a bite in a nearby restaurant and try some local seafood specialties. Bon appetit! Another beach in Lumbarda, and also a sandy one, it also enjoys great popularity with families with children. However, there's no natural shade there, so make sure you bring your parasols or rent out one of the ones on the beach and make sure you put on some sunscreen. The beach is nice for a whole day stay because there's a caffe, restaurant and a supermarket in the vicinity.